I found what I want it is a Rustic themed boxed shot glass, can I get the glass etched with our name and date? 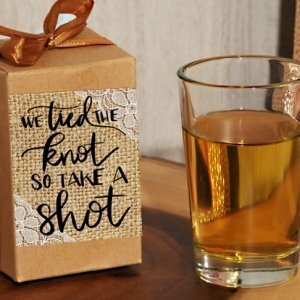 Unfortunately, the Rustic Lace We Tied The Knot so Take a Shot Boxed Shot Glass does not offer any personalization but you can purchase a personalized tag separately that you can attach to the box. Can I get this boxed shot glass with out names and wedding date on it? 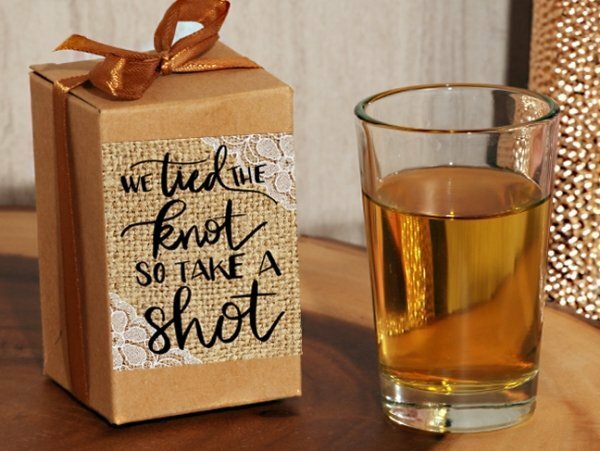 I'm sorry this Rustic Lace We Tied The Knot so Take a Shot Boxed Shot Glass does not offer any personalization so we can't add your name and wedding date.